On behalf of TSC, TSCTA, and SSU, thank you for participating in our Legislative Informational Seminar. We hope you found the session worthwhile and the information gained will assist you to navigate the changing legislative shifts affecting the tri-state area’s construction industry. The TSC Family of Companies is an industry leader offering over two decades of developing innovative solutions-oriented safety management, loss control engineering, safety-focused training, safety supplies, and environmental and health safety consulting services. 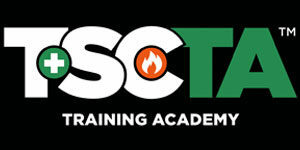 TSCTA offers the training needed to prepare your entire team for the new Local Law 196 requirements. We are a bilingual, NYC DOB, and FDNY approved training provider, and also offer the 10- and 30-Hour OSHA Construction Safety Outreach training courses and 8-Hour Fall Protection courses. Many of you have requested a copy of the seminar handouts and presentation. Gain immediate access to these technical resources by providing us your contact information below.